Thinking of a new business idea? Here’s something to inspire you. Some of the most interesting mom and baby products were actually invented and created by moms like us! It all started as an idea, fueled by lots of passion, resourcefulness and persistence, and now these products are actually bestsellers, essentials, and some are of million-peso (even million-dollar) money makers today. Baby Genius, invented by Julie Clark. She was a teacher-mom who wanted to share her love of the arts with her baby. 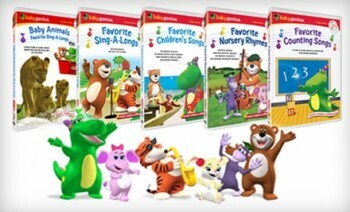 Baby Genius was eventually bought by Disney. 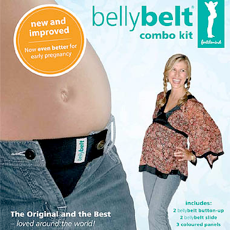 The Belly Belt, a nifty maternity product invented by Christine Kinninmonth, an Australian mom. The Belly Belt is now sold sold all over the world. 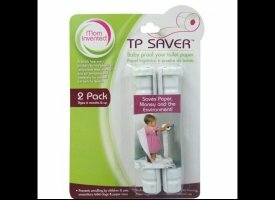 The TP saver, invented by mom Tamara Monosoff. It’s one of those why-didnt-I-think-of-that products and Tamara was ingenious enough to develop it. She set out to solve one seemingly small problem (kids using too much toilet paper) and went on to not only invent the TP saver but eventually set up a free online resource for other mom inventors. These are just some examples of thousands of products that came from moms, inspired by their motherhood and love for family, or just from the sheer determination to solve a problem or fill a need. For most of them, it took a lot of work and resources to bring their idea from paper to reality. If you have an idea but don’t have the time or resources to do research, product development, or go from manufacturing to marketing, consider partnering with Unilab’s Link Up program. If your idea is good enough to pass the evaluation, you might just end up not only seeing your idea on the shelves and the bragging rights that go with it, but also receiving Unilab products and a cash reward. Full Disclosure: This post is sponsored by Unilab Link Up.